Norwegian Cruise Lines NCL Cruises from Rome and Venice are popular Mediterranean cruise itinerary. The Rome embarkations typically travel around the Western Mediterranean to southern France, Spain, and Italy. The Venice embarkations typically include Eastern Mediterranean ports of call including Dalmatian Coast, the Greek Isles, and Turkey. ItalianTourism.us packages Norwegian Cruise Lines Mediterranean cruises with tours of Italy for 2 week Mediterranean cruise and Italy tour vacation packages. ItalianTourism.us guarantees the lowest price and more amenities on all Norwegian Cruise Lines NCL Cruises from Rome and Venice. 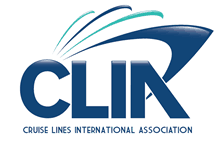 For more information about NCL Mediterranean cruises around Italy click the links below or contact ItalianTourism.us today.